Hailing from Rye, New York with a dual citizenship from Australia and the United States, Isabel Beshar ’14 has also left footprints in Panama, Nicaragua, and Ecuador. Very soon, she will be leaving her mark in England, where she will be studying medical anthropology at Oxford University as a Rhodes Scholar. Beshar has worked with diabetes patients around the globe, from her hometown to places on the opposite side of the world, and these experiences have shaped her passion for medicine and public health. Isabel Beshar, a senior in Saybrook, has done extensive research on diabetes in under-developed countries. She was recently named a Rhodes Scholar. Courtesy of Isabel Beshar. Beshar’s medical aspirations began early in her youth. In fourth grade, a friend’s father was diagnosed with pancreatic cancer. After he passed away, her friend mentioned that she wanted to be a doctor, and Beshar was awestruck by the idea. “I remember having this really emotional reaction at eight years old. I remember thinking, ‘That’s such an unbelievable reaction to such a tragedy. That’s what I want to do,’” Beshar said. Coming to Yale, Beshar was attracted to the social aspects of medicine, taking classes in public health, community health, and medical anthropology. The summer after her freshman year, she had her first interactions with diabetes patients while working at a clinic in New York. The disease immediately fascinated her. It affects more than 400 million people in the world, and, according to Beshar, is a global problem that does not receive the same severity of concern as infectious diseases or cancer. She added that 11 percent of the world’s healthcare expenditure is spent on diabetes. Her personal interactions with diabetes patients were still the most powerful influences. “I couldn’t believe how much [diabetes] impacted someone’s life and how casually people thought about it,” Beshar said. Beshar spent her sophomore and junior summers abroad in Panama, Nicaragua, and Ecuador. 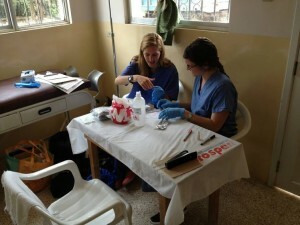 In Panama, she worked with Doctors Without Borders, expecting to see diseases like TB and malaria. What she saw instead, once again, was rampant diabetes. “I saw obesity, I saw hypertension, and I saw really severe diabetes because it hadn’t been managed. There is little education. Everyone knows what diabetes is, but no one knows how to deal with it,” Beshar said. In Ecuador, Beshar worked in a rural town called Manglaralto, researching risk perceptions of diabetes. Despite having no Latin American heritage, Beshar eventually wants to live in and focus on Latin America. She aspires to work for a relief organization like the World Bank, World Health Organization (WHO), or UNICEF, and hopes to implement diabetes intervention programs and education programs in Latin America. In addition to working on diabetes around the world, Beshar was the former president of the Public Health Coalition at Yale. 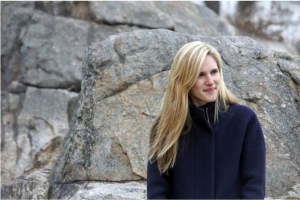 She said she tried to be creative with the position by planning service events, increasing interest in global health, and connecting undergraduates with students from Yale’s law school and medical schools. She also wrote a health column for the Yale Daily News, sharing her views on topics such as AIDS, breast cancer, and antibiotics. In addition, Beshar is a Global Health Fellow, and has worked with the Yale-Ecuador HIV Clinic Initiative (YEHCI), now called Student Partnerships for Global Health. To add to her busy schedule, Beshar is captain of club field hockey. Morning runs with friends to East Rock to watch the sunrise are some of her favorite memories. Beshar works alongside a friend in Ecuador. In addition to her service abroad, Beshar was a former president of the Public Health Coalition at Yale, and she is also a Global Health Fellow. Courtesy of Isabel Beshar. After graduation, Beshar plans on visiting Jerusalem for the summer. It is a city she has always dreamed of seeing. Beshar plans on living in a more modern Tel Aviv and making a living by bartending or waitressing for the summer — something non-academic. “It’s a part of the world I’ve never traveled in. I won’t know a single person when I step off the plane — I’m going by myself,” Beshar said. She already found an apartment, but plans on being spontaneous once in the city in terms of finding a job and traveling. In October, Beshar will fly to Oxford to study diabetes through the lens of anthropology. Beshar is now on a path to healing people around the world. “I’ve come to believe, no matter how people look or how people talk, health is a unifying factor that bridges those differences,” she said.